Today’s cafeterias have become multi-purpose spaces which require furniture that is mobile and multi-functional. NPS’s ToGo Booth System is ideal for such an environment. Built with 14 gauge steel, 2” tube legs, and double ball bearing non-marring 3” casters, the ToGo provides the ultimate in strength and mobility. It’s simple to reconfigure for multi-purpose use. The ToGo benches feature fixed high backs with a slight 12-degree pitch providing the perfect contour for comfortable seating. 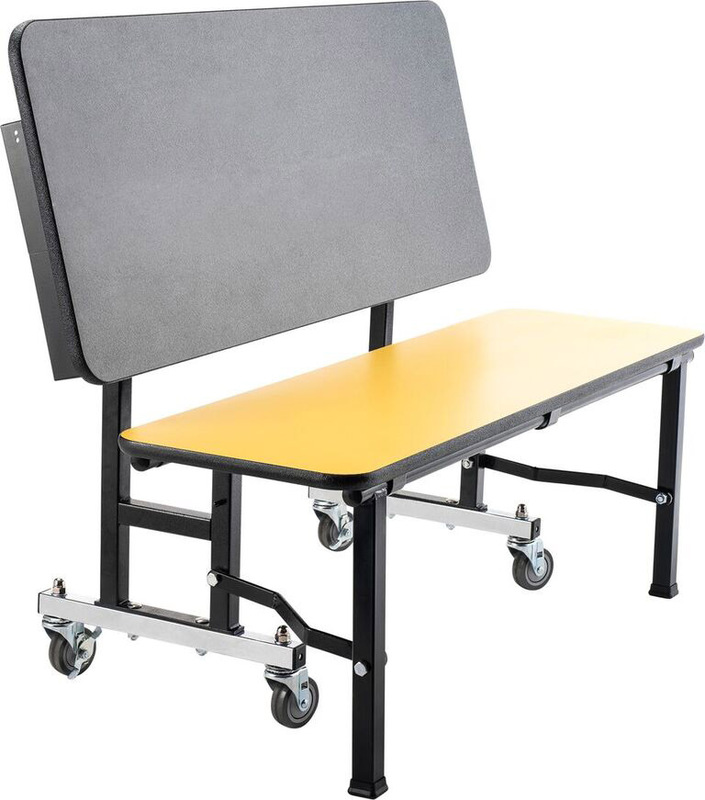 Rubber Grip-Tight glides automatically engage with the floor when opened along with locking casters to keep your seating arrangement nicely in place. ToGo Tables come in a choice of MDF or particleboard core with various laminate color options. Tables open and lock automatically and are easily released with a pull of a handle. The ToGo Bench and Table top flip up and nest for optimal storage. Both are offered in 48” or 60” widths and 24”or 30” depths providing comfortable seating for all sizes.